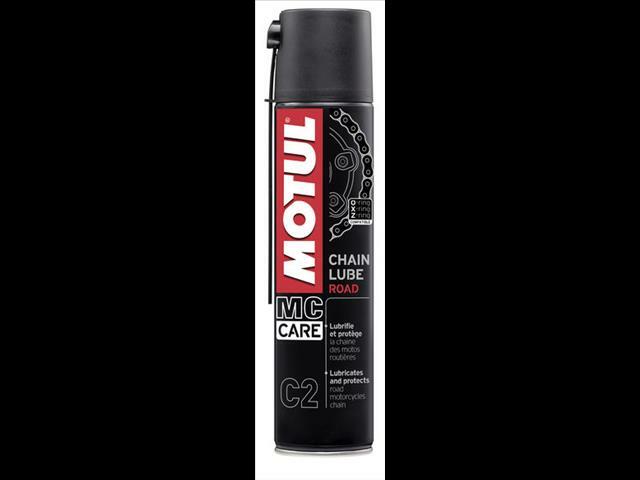 Lubricant for road motorcycle chains. Applicable for all types of chains: standard and with O-ring, X-ring and Z-ring. Specially recommended for very fast motorcycles. Adhere to the chain even at high speeds. Contains a solvent to eliminate old residue and to penetrate into the links.